When Will was only 6 months old, he accidentally ate some rat poison. 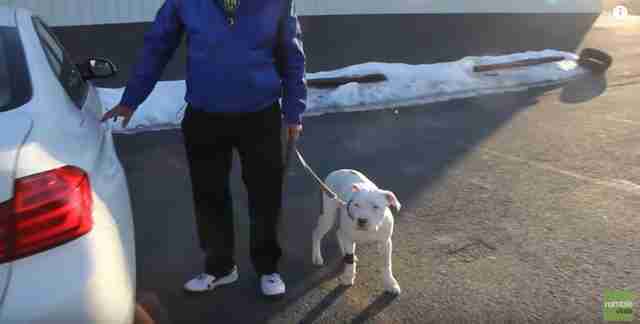 His owner didn't have enough money to get him treated, and so some of his friends stepped up and took Will to an emergency vet clinic in Albany, New York. Despite being rushed for treatment, the vets were afraid it was too late. Will was dying. And yet, despite all the odds, the pit bull puppy somehow managed to pull through. 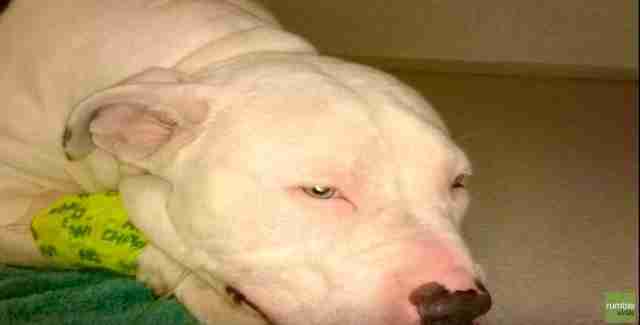 Will was sent home to his owner ... but two weeks later, he ended up back at the emergency clinic to be treated for poisoning. Again. Rat poison is one of the most common household dangers for pets. A dog who has ingested rat poison might have breath that smells like rotten fish or garlic afterwards, and might also have difficulty breathing, vomiting, general weakness and even seizures. 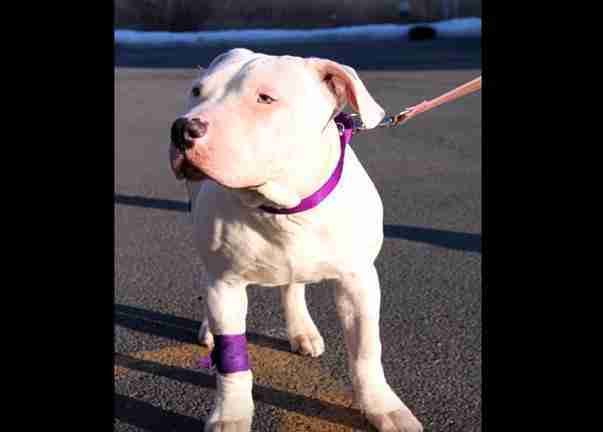 This time, Out of the Pits, a pit bull rescue in upstate New York, stepped up to help. 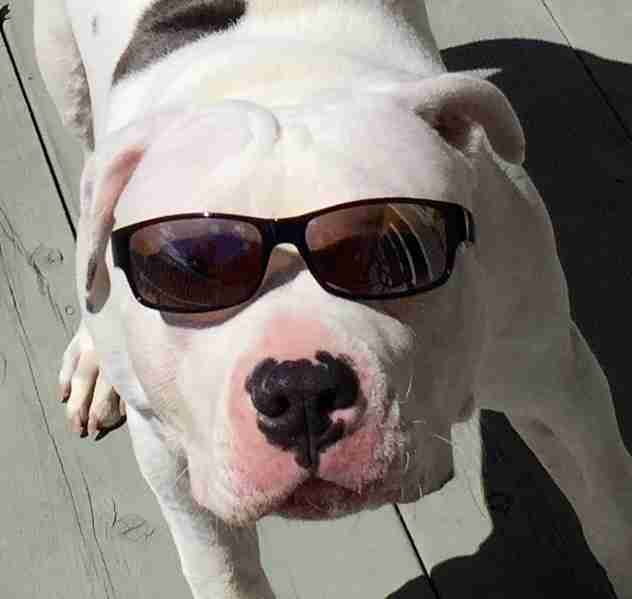 "One of the young man's friends found him bleeding out on the floor while his owner went to a basketball game," Cydney Cross, president of Out of the Pits, told The Dodo. "They scooped him up and took him again to the ER but this time said they weren't going to pay another $2,000." The friends simply didn't have the money to save Will's life a second time, and were planning on having him put down. That's when the clinic called Out of the Pits. Cross drove to the clinic at midnight to meet Will and officially take on his case. 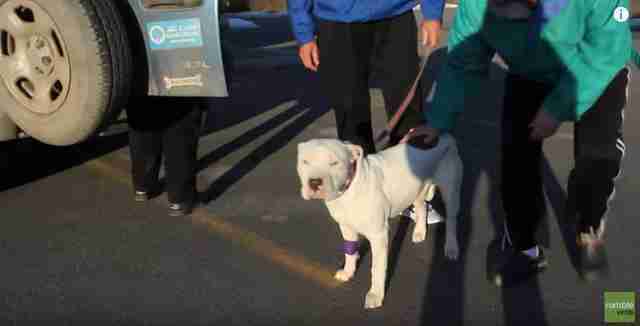 In order to take him, Will needed to be officially surrendered by his owner - who agreed to give him up. When Cross finally met Will, she knew the odds were not good. "He needed more plasma and still his chances were slim. The estimate for his treatment was steep," Cross said. "He was a great young dog handling the treatment very well and easy on the staff. They really wanted to save him and gratefully they were willing to work with us." 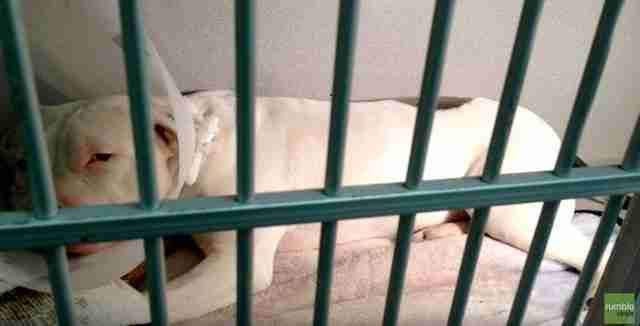 Everyone at Out of the Pits rallied and did everything they could to save Will. They raised funds and kept volunteers at the clinic, and never gave up hope that Will could fight his way through for a second time. "We rarely put up a GoFundMe page but did in this case," Cross said. "His chances were slim but lots of people were praying. They worked!" Even though everyone thought this was finally Will's time, he proved them wrong. Will pulled through. Foster care was arranged for Will, and everyone gathered to see him off on the day he was released from the hospital. So many people rallied to help save Will's life, and everyone was thrilled to finally be able to send him home. Will struggled medically for a little while at his foster home, but his foster family never gave up on him, and kept him safe the entire time. Eventually, Will's health had completely returned to normal, and he was finally able to be adopted. Without so many people in his corner, Will never would have made it out of that hospital.